Conferences are brilliant opportunities to network with people in the industry, refresh your newsroom techniques and learn about the latest developments in the sector. 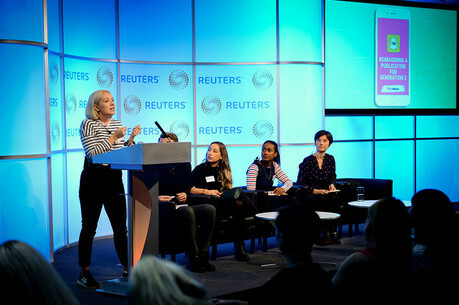 Newsrewired is one apt example - you can network with speakers from The Correspondent to BBC, explore new mobile storytelling tips, and get ahead of trends such as voice-controlled devices and blockchain. Like many event organisers, Journalism.co.uk is keen to give visibility to female and BAME speakers. However, as Jem Collins, editor of Journo Resources, notes, the industry still has work to do. Way too often, the majority of conference speakers are male, while men only account for 55 per cent of the media industry. To help you diversify your panels, Collins has shined a light on 104 notable female figures in the industry who would be great candidates for your next event's agenda. "Missing out on other voices is bad for all of us. Journalism is supposed to represent the population as a whole, and events are also a big part of inspiring the next generation of reporters," she wrote. "So, we present to you 104 reasons it’s actually pretty easy to book a diverse and excellent panel."